Calling young poets! Art? or Politics? 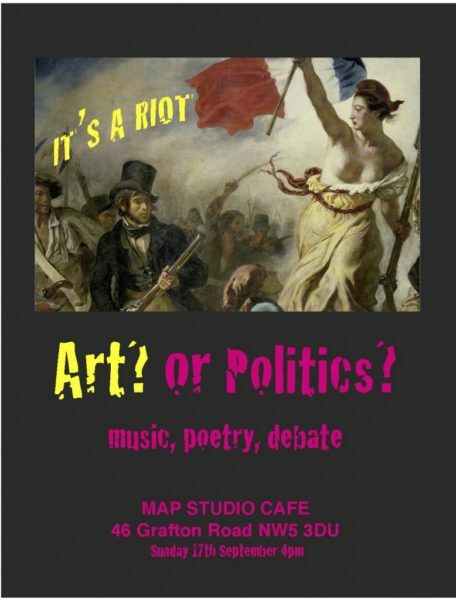 wants you – a series of monthly spoken word, poetry, and music events at MAP studios in London, they hope to bring all genres and ages together to share ideas that matter. Get in contact via Facebook or the website.